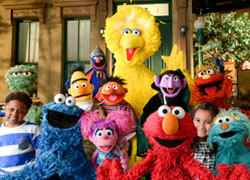 Discussion in 'Classic Muppets' started by Kermieuk, Aug 22, 2009. I came across several new clippings today, mostly from old USA TV Guides from the past 30 years! 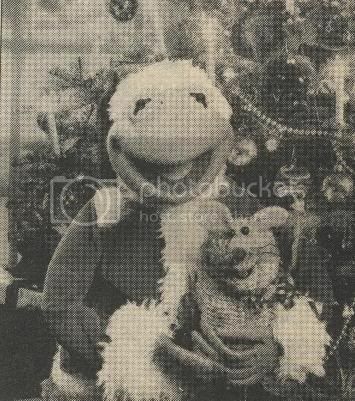 First is this great picture of Kermit and Piggy over a 30th Birthday Cake, Its from 1986 for The Muppets: A Celebration of 30 Years. I think its a rarely seen, Ive never seen it before, and I love it! 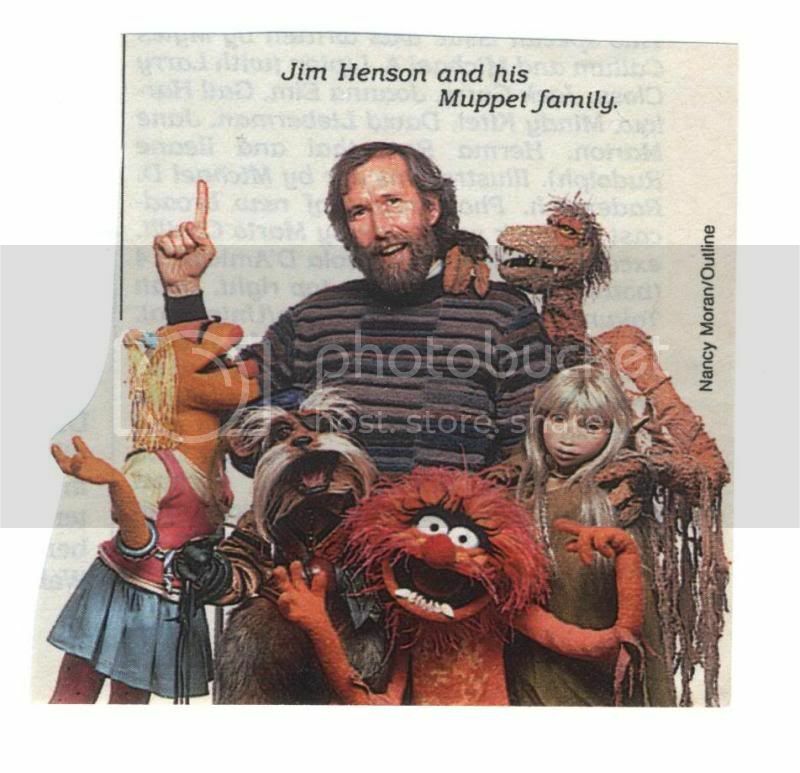 Here is another rare pic I have never seen, Its Jim Henson with Sir Didymus, Janice, Animal, Kira and a chracter from SNL! 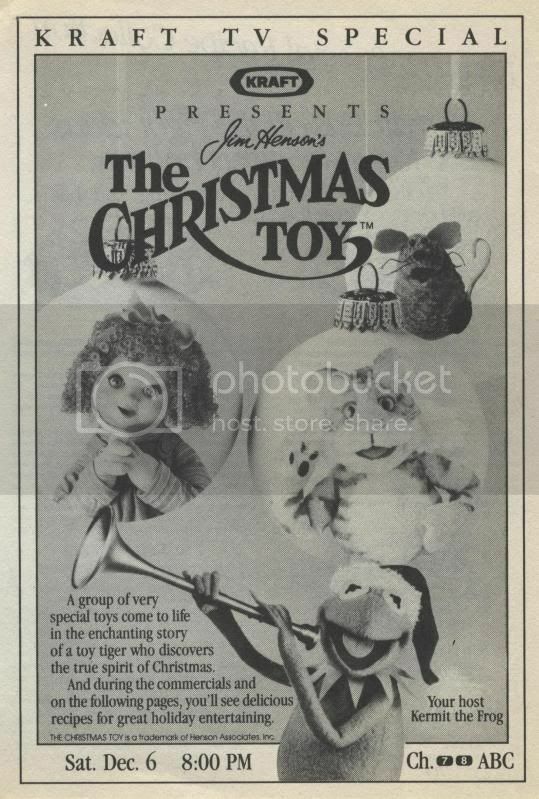 The Christmas Toy, 1980's Advert! Sigma Mugs Advert, interesting that they cost $6.99 each in 1978? I hope you all enjoy them, comments please! Those are all super cool! I loved the 30th birthday cake picture. Awesome! GREAT finds! 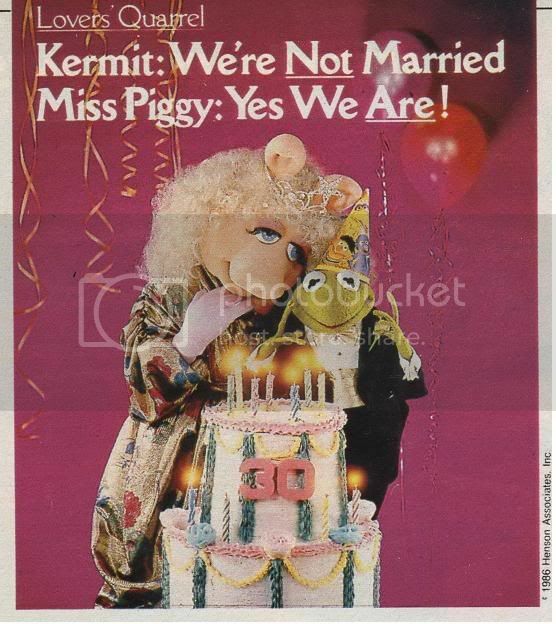 Glad you liked them, I love the 30th Birthday pic, I forgot to point out, if you look closely, Kermit is wearing a Sesame Street Party Hat, and Miss Piggy is wearing the tiara she wore in The Muppet Movie! Great post! Some real classic stuff there! I've never seen the Jim picture with Janice and the Labyrinth and SNL characters. Thank you for sharing. Very excellent photos. It's amazing how people find these things. Glad you like the pics guys. I just love finding new pics, when we see the same pics over and over its so nice to see something new. There must be so many pics stored away that no one has seen yet? 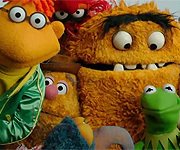 I find it interesting that the "Jim Henson and His Muppet Family" picture includes so many characters on the more obscure side... I mean, if you think Labyrinth, you probably think Hoggle; if you think Dark Crystal, you probably think Skeksis; if you think TMS, you probably think Kermit or Piggy; and honestly, we rarely think of Land of Gorch at all, and there aren't any SS characters present. It's like they were consciously trying to associate Jim with characters that the average man-on-the-street (not us) wouldn't necessarily recognize. 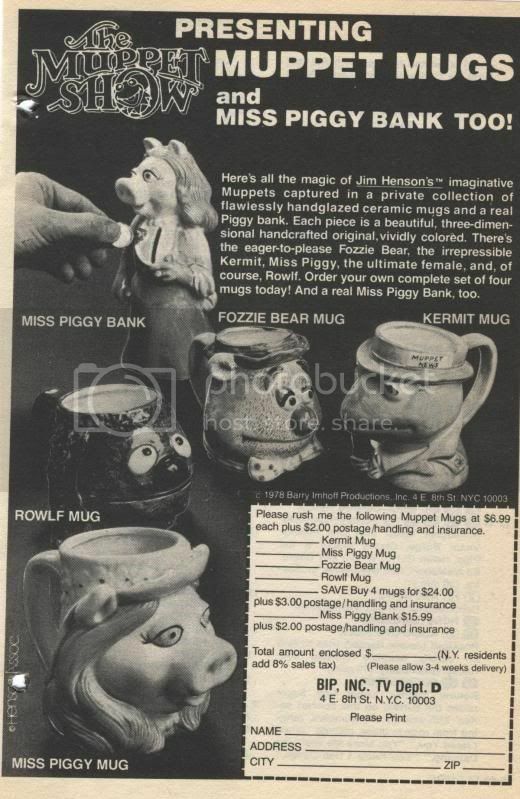 Peyjenk, There was indeed a Rowlf Mug by Sigma, and you may not know that they also made Gonzo and Animal figural mugs and a very rare Dr Teeth Mug? Kermit in pink nail varnish, probably not a good look. That Miss Piggy bank... did I see that right? Do you actually deposit coins into her cleavage? 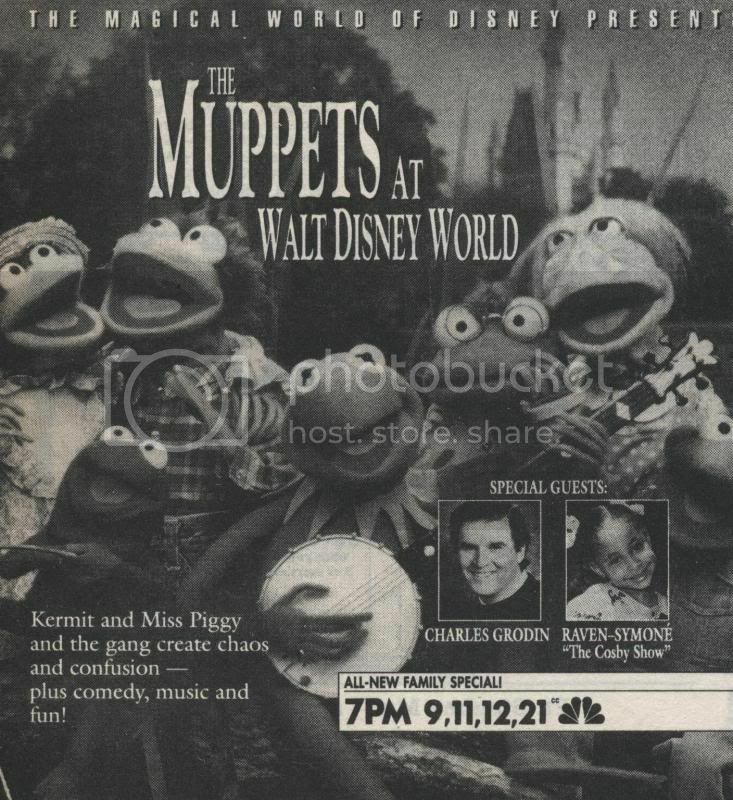 Does the fact I read the title of this thread as: "Rare Muppet Pigs" mean I have some kind of problem, or just that I've spent too much time watching TMS? Great finds, That Henson photo is awesome! I've defiantly seen it before, but I can't for the life of me think where...I thought it was on the back of the pink 30 Years video case, but it's not.